Snowy Owl class have loved listening to and creating poetry based around the Iron Man's scrapyard lunch. Together we generated noun phrases such as: ....rusty, old bike and added a quantity of for example: A handful of broken padlocks, A dollop of smelly oil. This is our class poem, we hope you enjoy it as much as we did composing it. Snowy Owl children were fascinated in their Science lesson when they learnt how glass was made from sand. It changes state from a solid to a liquid when it is hot and then moulded to form a jug. The children watched in awe as the glass blower blew the liquid glass into the shape of a jug and then formed a handle with extra liquid. This links in beautifully with our work on Materials and their properties where we are learning how some materials can change when heated or cooled. Once the Iron Man has finished eating up the farmer's tractors and combine harvesters, he is invited to eat in the scrapyard where he finds a whole range of metal delicacies to enjoy such as rusty old tyres, broken refrigerators, cogs and nuts. This week in English we have been looking closely at what the Iron Man likes to eat and likening it to our food e.g. he slurps the rusty old chain like spaghetti and he pops the copper door knobs into his mouth like popcorn. We are beginning a new block of maths this week as we learn about Statistics which will see the children collecting, representing and analysing simple bar charts and pictograms. 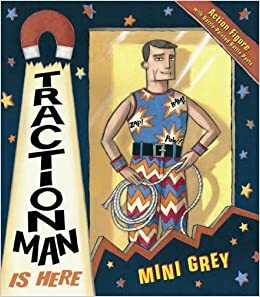 In Art this week we are continuing to perfect our drawing and shading skills as we create images of the Iron Man using chalks, pencils and paints. We expect our children to read at least 4 times a week, please ensure your child shares their reading books at home and a comment is written in the reading diary. This week's home learning is p16 English and p31 Maths. It was wonderful to see so many happy faces returning to Snowy Owl class this week; full of exciting tales of Christmas and New Year. We jumped into our topic on Monday with the surprise arrival of some mysterious body parts on the field behind the demountabe classrooms. To our astonishment, we discovered a great iron Head, arm, leg and eye and out of the corner of our eyes we noticed smoke in the sky so we thought it was a rocket speeding away after dropping an iron robot onto our school field! Can you make up your own equal groups? Find 5 ways to show 4 groups of 2. Wow! our Singing around the Christmas tree was a real treat for all those involved. Our singing was fantastic (so said the Deputy Mayor of Chelmsford) as we sang songs such as Hosanna Rock, Silent night, Away in a manger and our finale was to wish everyone a Merry Christmas. In class we read the story Osbert the penguin who arrived on Christmas morning after a little boy asked for a Penguin from Santa. Little did he know that a real penguin was to arrive who wanted ice cold baths, sardines for breakfast and preferred to stay outside in the snow. We thought about asking Santa for 'real' gifts and imagined what it would be like on Christmas morning with real toys, pets and robot. We had a wonderful time at the Braintree Victorian Museum. It really was like stepping back in time as we pretended to be Victorian School children in a real Victorian schoolroom. The children recited the 5 times tables, sang the National Anthem and practised the formation of letters on slates with chalk. Walking around the museum was incredibly interesting as we found artefacts from the past and laid next to a metal air raid cage where families would huddle together to keep themselves safe during the bombing. We had a super time! Snowy Owls have been learning how to structure a traditional story by looking at the features of stories. We read lots of different stories such as The Elves and the Shoemaker and found lots of similarities in many stories. Traditional stories are structured with a.. Characters who make us want to find out more about them. Actions - what the characters do in the story to move the story on. Dilemmas - problems e.g. a quest to find treasure. Endings - how the dilemma gets resolved or not! We wrote some fantastic stories which we then edited and improved using our purple polishing pens to make sure our spellings and ideas were clear for the reader. When asked, we were very proud of our story writing skills and thought we had learnt more about how to write a story. Welcome to Snowy Owls 2018. Homework set on Friday 21st September - Maths pg. 8 English/spelling pg.4 Spellings - the long 'a' sound.